Our mission is to provide students with an understanding of the concepts, principles, and techniques of computer networking and computer programming which will prepare individuals for industry recognized certifications and entry level positions in the field of computer technology. Local IT managers and knowledge workers serve on the CPT department's advisory committee. The committee meets at least twice a year to identify technology trends, review curriculum and equipment, and make recommendations for infusing new technology in our curriculum. The advisory committee also assists with internships for students and job placement for graduates. The Computer Technology and Engineering Technology departments share a industry liaison representative--Anna Kolliopoulos. She manages the SCATE (SC Advanced Technological Education) Industry Consortium and is the project manager for the SC ATE National Resource Center for Expanding Excellence in Technician Education. 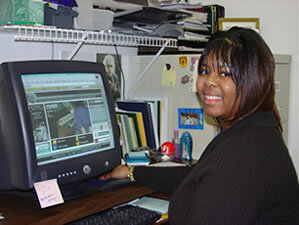 She also places students in internships, recruits new students, and develops relationships with local industry. The college is accredited by the Southern Association of Schools and Colleges. In addition, the CPT department is currently accredited by the Association of Collegiate Business Schools and Programs (ACBSP). For more information about the accreditation, visit the ACBSP site. Our Alumni are our greatest advocates! Many serve on our advisory committee and work in positions where they hire our recent graduates.